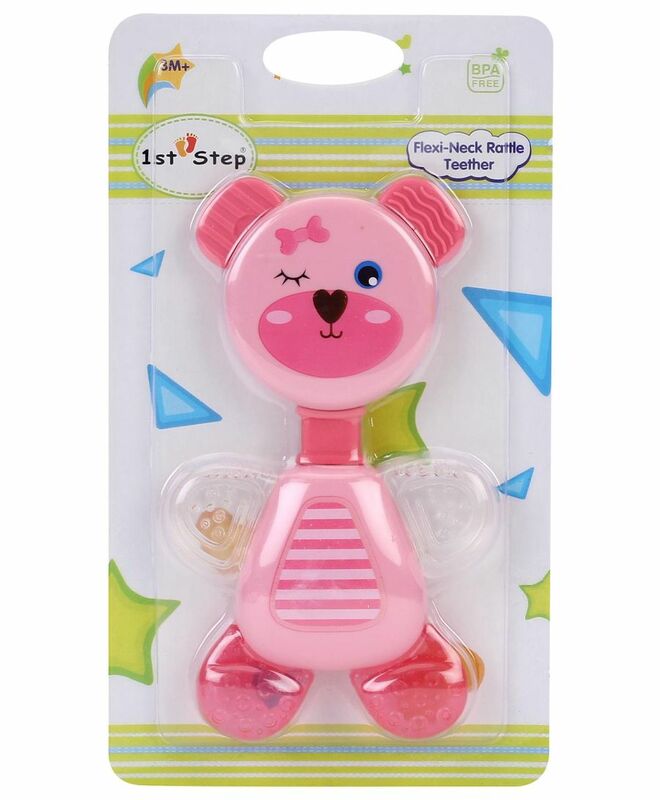 The friendly rattle encourages babies from 3 months to develop their motor skills. Designed with bright, fun colors with a flexible neck that encourages babies to grasp it. Made with durable and sturdy materials ensuring safety and highest quality. "Total waste - it’s melting if you sterilise"
I read all the reviews about this product and hence ordered it for my 4 month old child. As it was mentioned in the guidelines, I put the product in water to sterilise it and after 5 minutes when I took it out, I found out that the product melted. And the water was leaking out from the product. Total waste of money and no safety. I wish I could take strict action. I’m not even able to cancel the product now. Pls don’t manufacture these kind of products in future. I just can’t imagine what could have happened if I hadn’t noticed the melting and given it to my child to keep in her mouth. my baby loves it nice teether baby can easily hold it. Its a pretty teether, with a decent rattle. The shape is perfect for baby to hold and the size is good for my 4 month old. quality of the plastic is very bad .